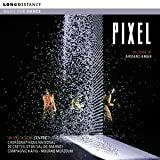 Sold by Le_accessoriesAU and Fulfilled by Amazon. Gift-wrap available. Amazon.com.au Return Policy: You may return for a full refund for the price you paid within 30 days of delivery any new computer purchased from Amazon that is "dead on arrival", arrives in damaged condition or is still in unopened boxes. Amazon may test or inspect returns. If Amazon finds a customer has misrepresented the condition of a return, Amazon may impose a fee equal to up to 15 percent of the merchandise sales price. Any returned computer that is damaged through customer misuse, missing parts, or in unsellable condition… Read more due to customer tampering may result in the customer being charged a restocking fee based on the condition of the computer. This policy does not restrict or alter any non-excludable statutory consumer protections or rights you may have, including under the Australian Consumer Law. To view full returns terms including return instructions, merchandise-specific requirements and exclusions see our Returns Policy Page. New, used, and refurbished products purchased from Marketplace vendors are subject to the returns policy of the individual vendor. With a simple click - Dash 3 is ready to write, sketch, and highlight making it our quickest, most intuitive stylus to date. There's no need to connect to apps, letting you capture inspiration when it strikes. 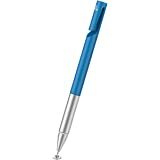 The improved 1.9mm tip creates a paper-like drag that's more precise and responsive than ever before. Feel secure carrying Dash 3 to the coffee shop or to your next meeting with its classic pen-clip design. 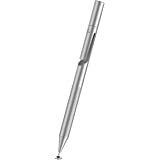 Dash 3 is your click and go stylus for fast ideas in our digital world. Creativity and Productivity at the Click of a Button. With a simple click - Dash 3 is ready to write, sketch, and highlight making it our quickest, most intuitive stylus to date. There’s no need to connect to apps, letting you capture inspiration when it strikes. The improved 1.9mm tip creates a paper-like drag that’s more precise and responsive than ever before. Feel secure carrying Dash 3 with its classic pen-clip design. The Dash 3 tip is constructed from a new and improved material. Now with increased drag, a more natural writing experience, and even faster note taking ability. Dash 3 works on all touch screens, iOS and Android alike. Open any note taking or sketching app and, at the click of a button, you’re ready to go. No connection needed. Clip and carry Dash 3’s slim, balanced, aluminum body for on-the-go convenience. 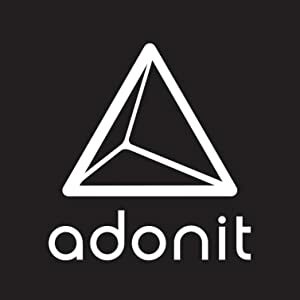 Adonit is a community of creative thinkers with a meticulous focus on design, engineering, and product experience. Our products are built on the belief that technology should enable the creation process in the simplest way possible. 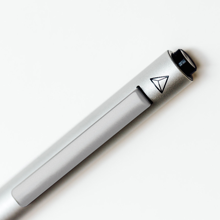 Since our 2010 Kickstarter launch, we’ve built a carefully curated line of styluses now sold in over 100 countries. And we continue to grow with the mission of crafting tools that empower everyone to create, make, and do more in the modern workspace. 5.0 out of 5 starsHigh Tech Item and it works! 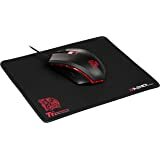 I have various computers, tablets, and smartwatches and as I do not like fingerprints on any of them as it looks unclean and ugly. 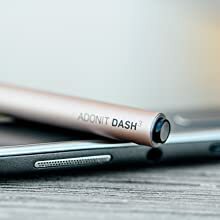 Therefore, I purchased the Adonit Dash 3 and I am fully satisfied with the performance. The item is not the cheapest but it shows quality and reflects an item that is elegant and it works. 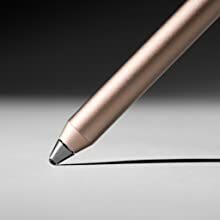 Precision is something that most cheaper pointing devices lack and in many cases it is worse to use these rubbery pointed pens than your fingers as they are unable to point on a virtual keyboard and especially on form-sheet pages. 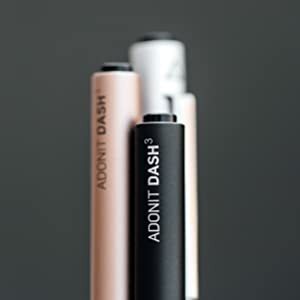 The Adonit Dash 3 makes a wonderful gift for someone who likes to be "on the spot" and pointing precisely. I have advised several of my friends and acquaintances to purchase this helpful accessory and I have heard nothing but praises for this stylish and functioning product. 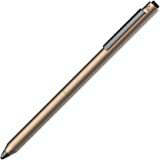 5.0 out of 5 starsAmazing stylus! I received my Adonit Dash 3 today, and WOW was i surprised. 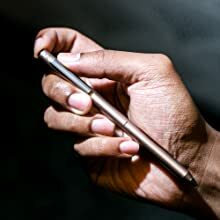 Yes, it isn't a bluetooth stylus, so it doesn't have those schnazzy features like palm rejection and pressure sensitivity, but using Noteability and GoodNotes works like a charm, with Noteability in particular having great palm rejection built in. 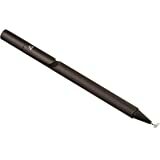 If you are buying this stylus for writing, it also works amazingly! (Just excuse my bad handwriting...). 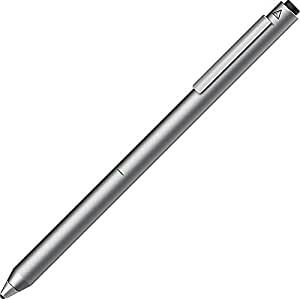 Noteability is my recommendation for using this stylus due to the built in palm rejection by the app, if you need a note taking app. If I had to name one con, it would have to be the loud click of tapping the stylus on the iPad. Some people may find that annoying, but I can live with it. 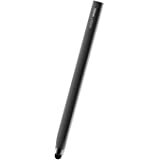 Overall, at this price point, the Adonit Dash 3 may seem very overpriced for a IPad stylus, but it is definitely the best one I have used, with almost no lag. Highly Recommended!!! 42 people found this helpful. I took off a star because the charger is annoying. You need to have just the right angle to charge the stylus, so you will need a charger that can accommodate the length of the pen too. The clip is a nice looking feature and works, but it is thin and bends easily. A regular nice pen typically has a more rigid clip. The taps are quite loud compared to a softer stylus. When working in a quiet setting the tap noises are clearly heard a few feet away and can be annoying to others. I have to ignore the taping sounds myself or not use the stylus. I like writing with the Dash 3 and it is sensitive. I started using an adult coloring book app when I received the Jot 3. I never thought of a coloring book app as appealing until I started using the well developed Dash 3. I like the Dash over the Pixel and Jot Pro. The Pixel feels like a marker which does not always work as expected and the wonderful Jot Pro is not as accurate as the Dash 3. The only thing I wish the Dash did have, other then the reasons listed is a threaded cap to protect the digital nib better in a bag or pocket. For these reasons, I give the Dash 3 four stars. 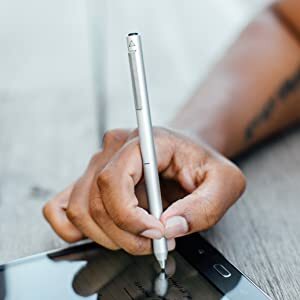 I have the Adont Jot Pro for my iPad 2017 and have had pretty good success with it and was looking to upgrade to a nicer stylus. I ordered this one after researching a bunch. When it came, I charged it up using the USB charger that it comes with and tried using it on their recommended app- Notability. The screen hardly picked up the stylus and it barely worked. Nothing that I wrote was legible. I put it right back in the box and sent it back. It’s worse than their Adonit Jot Pro which is half the price. I definitely do not recommend this product. So far this has been the best stylus for my Yoga 910 capacitive screen. I had the Dash 2 and upgraded since the Dash 3 has replaceable tips (for the occasions when my cat decides he wants a new toy to toss around the room...). Works perfectly for taking notes on powerpoint (med student) even with a screen protector. I’ve had all 3 of the Adonit versions of this pen. 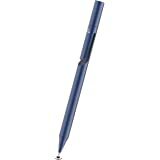 If I had the option, I would take the original pen and give it the tip of the Adonit 3. The 1 has an unbelievable battery life and a high value feel to it. Issue was that the tip is metal and maybe plastic dipped. So the plastic covering the tip would wear off. The Adonit 2 felt a little fatter, battery was pretty good, tip was the same as the 1, but pen quit working within a year. I bought this 3 in the silver. It has the same weight & feel of the 1, the worst battery life of the 3, BUT the best tip of them all! Maybe I got one with a defective battery. The tip is some kind of rubber material but is super fine point like it’s previous models.